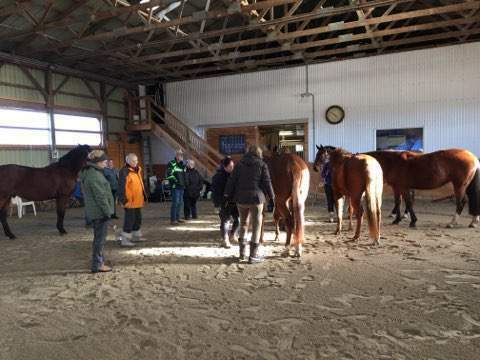 It was an excellent learning day on Saturday February 24th with Vanessa Beach RMT CEMT at Falle Wind Farm. Vanessa ran through the steps she goes through in assessing a new patient, and common problem areas. Our guinea pig, Manchita, eventually learned to trust Vanessa and let out some great big yawns when she found some release from her trouble spots. 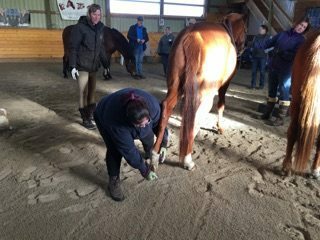 Everyone got tips on how to correctly and safely stretch their own horses. A great big thank you to Vanessa for coming out to dicuss this topic with us! they have to be done correctly, no cheating! 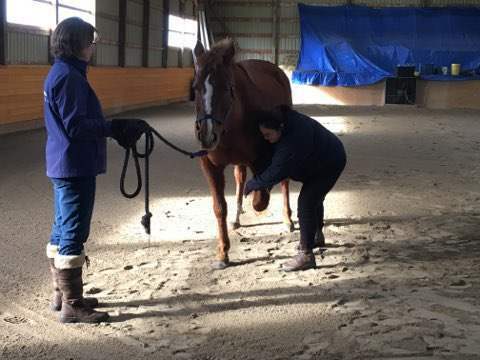 Back up your horse in the back hand to stretch the hind end and open up the lower hind end muscles. 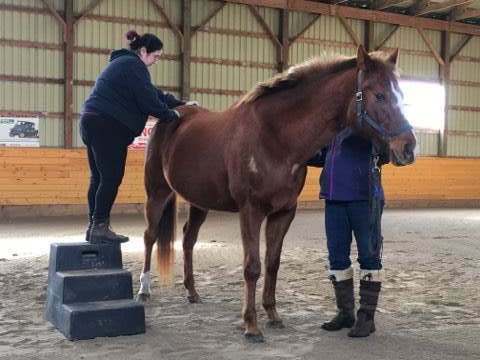 If you’re having a difficult time, align your horse with a wall and make them back up with your fingers tapping the mid rib. 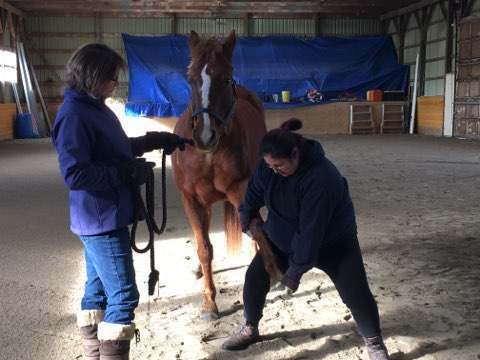 “Assume-o” - a new term we came up with to describe the safest way for the handler to position themselves when stretching front and back legs. 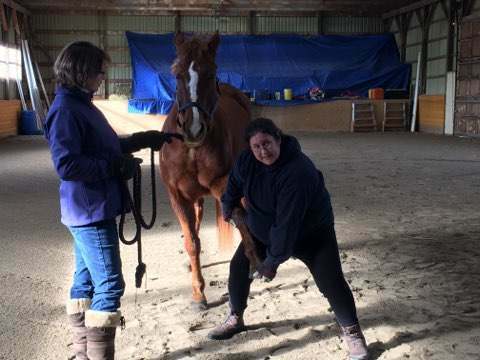 Think of "assume the position of a sumo wrestler" to protect your own back while stretching out your horse.